Happy June everyone! It's already time to go over my goals and how I did this month. Can you believe it's nearly half-way through the year? I'm going to be changing up a few of my goals after this month, so I'm excited to have some new goals coming up. This has been an amazing year already! Each month, I'll go through each goal area and talk about my progress on each resolution. If there's a "+" by the resolution- that means I was successful that month! If there's a "-", unfortunately I missed the mark. Some of my goals are more of a year-long thing, so until I complete the entire goal (for example saving $15,000) I'll have a "-" (which is why none of my fitness goals have a "+"). I'll give you a quick update on my progress though, and hopefully there will be a "+" before the end of 2016! Enough chatting for now, let's get to my monthly resolution update for May! Only one month to go! Sokphal and I are both holding strong with our freeze (minus a few exceptions that we agreed on) but I'm ready to start shopping again! saved $1400 in joint account, $584 in personal account. for the year, I have $11,519 saved in joint account (76% of the way to my goal! ), and $2918 in personal (48% of the way to my goal). I ended my gym membership in March, so I'm going to put this goal on hold until I get a new gym membership! Went biking this month! Hoping to get out more in June. I ate really clean this month! I made sure to meal plan each week which really helps. I had more snacks than I should, though, so I'll work on fixing that in June! See my post here! I'll be posting a new one for our house this month! I also added this to my Bullet Journal which has made the process much easier to stay on track. Done! I actually only spent $110 this month- which is WAY less than my average of $400. I kind of cheated on this, but I made an Indian meal. I used a Masala simmer sauce from Trader Joe's (which I recommend! ), mixed with sauteed onion and chicken, over top of Jasmine rice, and served with cilantro and a piece of Naan. It was delicious! June : I want to start sharing recipes again this month! I'll make it my goal to share four more recipes in June. 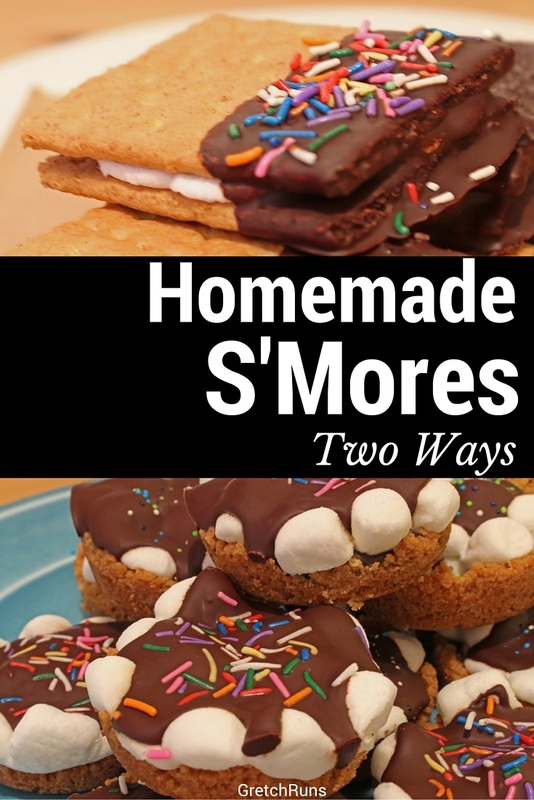 and my S'mores post. I can already see a huge difference! I'll be working on this in June when I start sharing recipes again! + Got married! Check out my posts on Belize here! + Moved into our new house! How are you doing on resolutions? Did you have any major achievements in May? Any big plans for June? post contains affiliate links. Thank you for your support! Hello, Friday! I'm so excited for this weekend, because it's a long one! I have Monday off for Memorial Day, and I'm going to be spending the weekend hard at work. My parents are doing some demolition in the dining room, and Dan and I have some projects to work on at our house. We're going to be really busy! I hope you all had a great week, and I'll see you next week! photo by Alexa..I couldn't do the recipe justice with my own picture! I'm always drooling over Alexa's amazing recipes (and her photos...my gosh), and I knew this was a recipe I had to try! 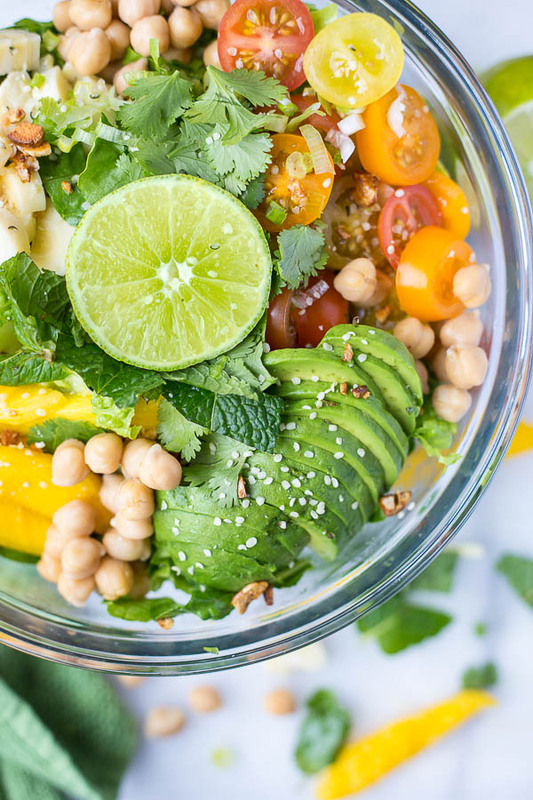 Mango is one of my favorite foods, and I loved the idea of adding it to a salad. I prepped this on Monday and enjoyed it all week, and I know I'll be having it more in the future! It was really easy to make ahead, and substitute for what you have on hand. I tried it with kale and loved it! It started to get really hot this week in Pittsburgh, and I've been loving sipping a summery drink on my deck after work. There are so many refreshing, fruity drinks coming out and I'm trying them all! So far, my favorites are Bud Light Watermelon-rita (don't let the Bud Light name fool you- this doesn't taste like a beer but is the perfect amount of sweet! ), Trader Joe's Watermelon Cucumber Cooler (so refreshing), Peach Wine (a little fizzy and a great realistic peach taste), and any kind of summer seasonal beer! I was lucky enough to get to try one of these sleeves, and I'm hooked! 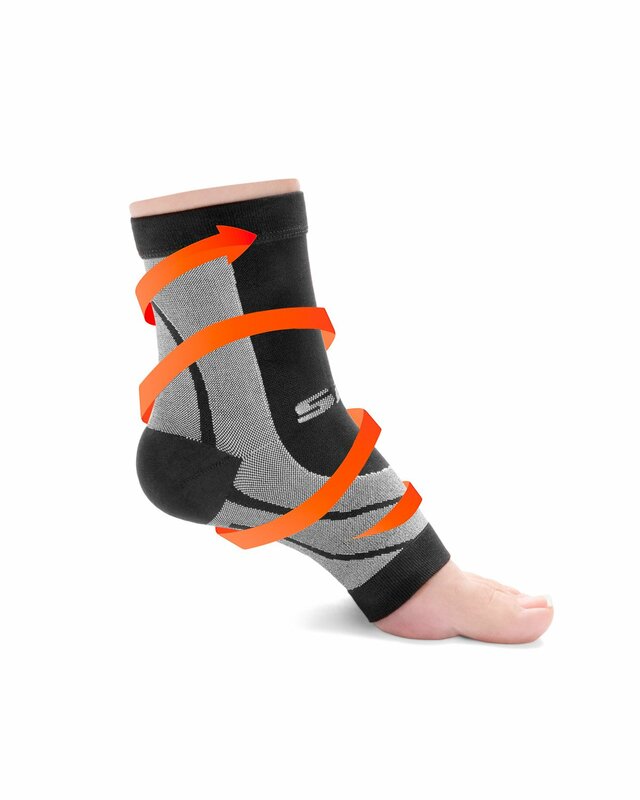 I get a lot of pain and soreness in my foot and ankle, and this provides the perfect amount of targeted compression to those areas. Sometimes I'll just have a small pain, but will have to put on my long compression socks (which is always annoying and takes a long time). These are nice and short, so they go on really easily and are comfortable. I think these would be great for people who are on their feet a lot, or for recovery from long training runs! John Frieda 7 Day Volume- 10/10 - This is my favorite hair product! I've repurchased it so many times and I can't recommend it enough. Seriously..if you haven't tried it DO IT! John Frieda Luxurious Volume Shampoo- 7/10 - Since I love the treatment so much I decided to give the shampoo a try. It did a fine job but I didn't notice any dramatic changes in my hair. Laneige Multi Cleanser (sample)- 8/10 - I got a Laneige sample pack of a few different products, and loved using them for travel. This cleanser also helps remove makeup and didn't break me out. It does leave my skin feeling a bit tight, so I had to follow up with a moisturizer immediately. Burt's Bees Pink Grapefruit Balm- 9/10 - This was a great lip balm, but I got tired of the scent after a while! It Cosmetics Bye Bye Redness- 10/10 - This is the absolute best product that I've ever used to cover up acne or redness. It looks surprisingly natural, but covers like a boss! The only downside to this product is that it only comes in one shade, and it's a bit pricy. A little goes a long way, though, and this lasted me forever. Stila Kitten Eyeshadow- 8/10 - To be honest, I didn't finish the product. During my move, I dropped it and it completely smashed and I got sparkly shadow everywhere! I love the shade and formula though! Redken Pillow Proof Primer- 9/10 - This is a great product to spray in your hair before blow drying. 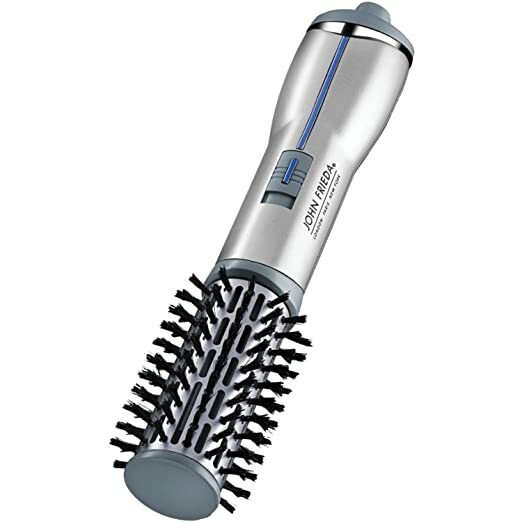 It somehow speeds up the drying process and primes your hair to protect it from heat. I also love the scent! Herbal Essences Dry Oil Spray- 10/10 - Dry oils are my favorite to use on dry or frizzy hair. This one has an amazing smell, and isn't too oily for my hair. I'm not sure how that's possible since it's an oil, but it's pretty great! The Family : I'm really sad that this show got cancelled, because I thought it was amazing! The acting was incredible and the story line was so intriguing. Did anyone else watch this, or am I the only one? Quantico : On the other hand, I'm thrilled that Quantico was renewed for a second season! I can't wait to see what the plot line will be, because I loved season one. I didn't see the ending coming at all, and now I'm excited to see what will happen next. The Bachelorette : To be honest, I haven't had time to watch the premier of the Bachelorette but I'm excited for the most dramatic season yet! I'm already hearing about drama with the "winner" and some other contestants, so I'm curious to see what will happen! Dancing With the Stars : Another season is over, and I'm a little shocked about the winner to be honest! I thought that Paige was the biggest improvement of the season, and I voted for her to win. I definitely think that Nyle deserves the win though, and he was my second pick all season long. Now that he's won two reality shows, I wonder which one he'll go on next? The Voice : The finale of the Voice also aired, and I'm not surprised at all by the ending. I feel like from Alisan's blind audition she was a sure winner (and Adam made it known every week that he thought she would win) so I'm not at all surprised. I definitely think she deserves it and I'm hoping she'll release some music soon! I also really liked Adam throughout the season and think he'll become a star as well. What are you doing for the holiday weekend? What are your favorites of the week? Any TV Show favorites? Anyone else watch The Family? Hi everyone! Since today is Wednesday, that means it's time to link up with Jenn and share some eats! Last week I started a new job, so I thought it would be fun to take along in a day in the life. This particular day was a department conference, which means all of my meals were planned out for me! It was a lonnnngg day, so I hope you enjoy following along! 5:45 Wake up, shower, get ready. Our invitation said "smart casual" so I decided on skinny pants, Express Barcelona cami and my Forever 21 blazer. 6:30 Leave to catch bus. 7:15 Get to office, make some coffee and heat up food. My new go-to breakfast is roasted sweet potatoes, sauteed kale and onions, bacon, re-fried beans, and avocado. SO good, but really not appetizing to look at. I'll spare you all a picture, but seriously try that combination. Amazing. 8:00 I have a few short meetings and emails to catch up on before the conference. Before I know it, it's time to go! 10:30 Leave to walk across town. My company owns a few buildings in town, so for some of these conferences we get to go to a new building. 11:00 Arrive, get name badge, find table. I'm kind of glad we're assigned tables since I don't know anyone yet! I end up sitting with one of the original members of my group (it started as 12 people and now it's grown to over 70!) She was really great to talk to and we ended up having a ton in common! 1:50 Break! 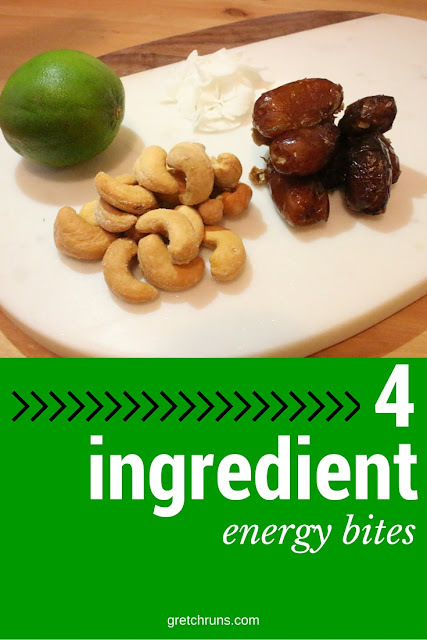 Grab a snack and a drink. There was some trail mix, soft pretzels, and infused water. So fancy! 2:00 Round table discussions. There were eight different topics to choose from, ranging from the latest in biometrics and security to upcoming features of our new app. It was so cool to see what projects different groups were working on! 3:45 Another break..more snacking! I got some pop this go-around. I was really craving something fizzy and sweet. 4:00 The head of retail banking comes to talk to us about the company's five year strategic plan. Luckily, a lot of the plan includes expanding my group's role in the company. I can tell we're all going to be very busy in the next few years! 5:00 Speed networking! This was actually a lot of fun. Everyone got paired up with one person in their group, and spent five minutes talking to another pair. Once the time was up, everyone rotated and talked with a new pair. It was basically speed dating, but in suits. 6:30 Dinner time and more networking. It was nice to meet so many people since it was my first week! Luckily everyone had on name tags so I didn't have to remember names. Dinner was delicious, and surprisingly healthy! I had a salad, steak, grilled chicken, roasted potatoes, mac and cheese, and a big ol' glass of wine. They were NOT playing around with serving sizes here! 8:00 Head out, and Dan comes to pick me up downtown. 8:30 Home! Get changed, work on my blog post, get lunch and outfit ready for tomorrow. Spend time with Dan and Selma watching hockey. 10:00 Decide to get another shower because I feel gross, and that's one of my favorite ways to relax at the end of a long day! 10:15 Head to bed, read some of my book and finish up this post. Turn off the lights and pretty much pass out right away! Happy Tuesday everyone! Today I'm going to be sharing the second part of my Belize recap. In part one, I talked about San Pedro and the beach, and today we're going to go to the "underworld" and talk about caves! This was actually my first experience, but Dan used to be in the caving club at Penn State! He was really excited to explore some of the caves in Central America, particularly the ATM (which is the top-rated activity in Belize!). We visited three very different caves and had three very different adventures, so today I'm going to be talking about each of them! I hope you enjoy! The first cave that we visited was the largest opening, and shortest in length. It was basically a huge room where tons of tourists walked around and explored. There are man-made paths and steps that go around the cave to help you get around easily. 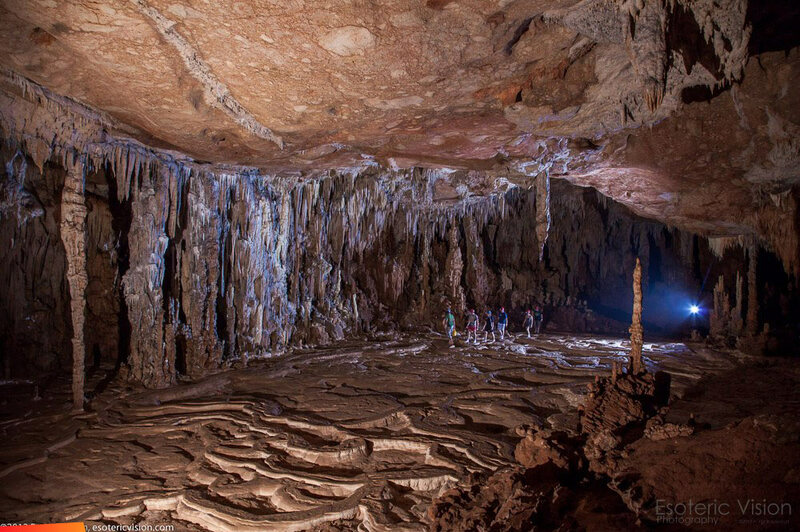 Rio Frio is a beautiful cave, and if you have a fear of small spaces or the thought of being underground freaks you out, this is the cave for you! Next, we saw Barton Creek Cave. This cave is accessible by canoe, and is really interesting. Since we went during the dry season, the creek was relatively low and we could get pretty far in the cave. Most of the cave is wide open, with a few smaller spaces. It was really interesting to paddle around inside, with just a handheld lamp to guide our way. Inside, there are tons of bats flying around, as well as ledges where the Mayans left pottery and other artifacts. If caving isn't your thing, zip lining is also offered at this farm! This was the final tour that we went on during our trip, and was definitely the highlight. I have to admit that I was terrified before we went because I heard there were some small spaces, and it was more physically demanding than any other excursion we went on. I couldn't even eat breakfast because I was so nervous! This ended up being one of the coolest things that I ever experienced. Since we weren't allowed to bring cameras, we were all able to completely immerse ourselves in the experience and really enjoy it. The experience starts with a hike through the jungle, including crossing a river three times. Then, you jump into a large body of water and swim into the cave. Once inside, there are areas where we had to swim, walk, climb, crawl, and squeeze. My fear quickly went away and was replaced with lots of excitement- the cave was incredible and it was so different than anything I've ever experienced before. If you're thinking about going on the ATM Cave tour (or any other cave tour), I would highly recommend doing it. I almost let my fear hold me back from going on these, but it ended up being some of the best experiences of my life! The things that you see in caves are unlike anything you'll see in your life. You won't regret going- I promise! Have you ever been in a cave before? What's the scariest/coolest adventure you've had? What's the best trip that you've ever been on? Hi and Happy Friday everyone! Did you all have a good week? Mine was absolutely crazy- we're getting settled into our new house now that we're all moved in, and I started a new job! I'll be talking more about it in the next "What's New With You" linkup (make sure you join us on June 2), but needless to say this week has been hard. I think I'm ready for some wine and relaxing this weekend! 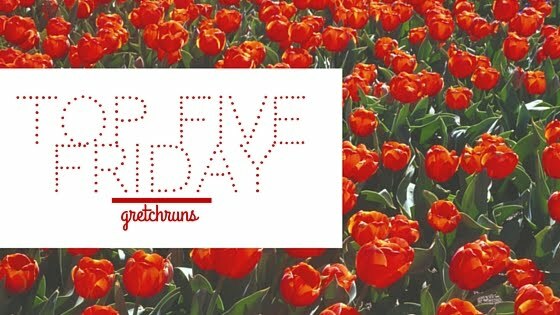 I have some favorites from the week to share with you today. I hope you enjoy, and have a fantastic weekend. See you on Monday! I actually borrowed this tool from my sister to steam my living room curtains after I washed them. After seeing how amazingly it worked (and using it multiple times on my clothes this week) I need to get one for myself! I love how quickly this removes wrinkles from my clothes and is pretty much fool proof. I usually iron my clothes each morning, and this makes that process so much faster, and I'm not ruining clothes by ironing creases in them or burning holes through thin shirts. I'm thinking about buying this one for myself! I actually bought these wipes for my trip to Belize, but I'm in love with them! I'm stil not wearing much makeup on an every day basis, so lately I've just been using one of these after work to clean my skin. They're so gentle and don't irritate my skin at all, but they also help to remove makeup. These aren't as heavy duty as a real makeup remover, but for natural days I highly recommend checking out this line! I mentioned last week that I got a hair cut, and I've rediscovered my love for the hot air brush! I got this last year and stopped using it for a while, and decided to give it a try with my new hair cut. I absolutely love how full it makes my hair look- almost like getting a blow out at home! If you're looking for an inexpensive tool that will give you some major volume quickly- check this out. Any other tennis fans out there? It's time for another Grand Slam tournament! I get so excited when these roll around, and I'm really pulling for Djokovic to get his career slam! On the women's side there are quite a few players that I'm cheering for, so I'm excited to see how the draw goes and will be watching as many rounds as I can! Just like most runners, I try really hard to work on injury prevention and recovery. So, I was really excited when a local business reached out to me to try their product, which are all about recovery. 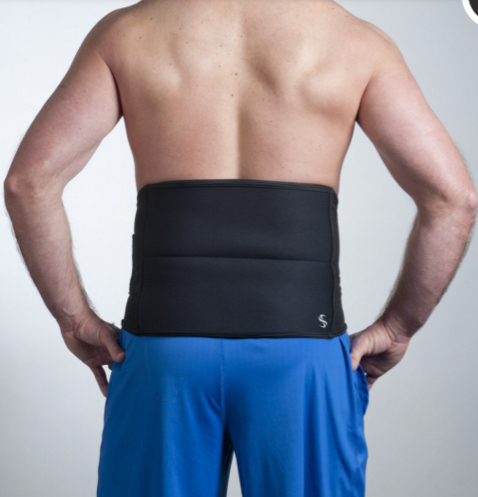 I decided to try the Recovery Wrap, which is really easy and comfortable to use. The ice pack can either be frozen or warmed up, so it's great for dealing with all kinds of pain! I can't wait to use this more once I start training for my next big race, but if you're looking for a new recovery tool make sure you check out Spand-Ice! What are your favorites this week? Any other tennis fans out there? Hi everyone! Today I have a fun post to share- a review of my most-used gear during my trip to Belize! We had a lot of excursions planned during our vacation, so I had to pick up a few things before we left. After getting a ton of use out of them, I feel like I can give these products the GretchRuns seal of approval! They stood up to the jungles of Belize, so I can definitely stand behind these. Whether you're planning an afternoon hike or about to go on a similar vacation, I hope you'll find these reviews helpful. Let's get into the products! This bookbag was actually the very last thing that I bought for the trip, but I ended up getting the most use out it! I didn't want to spend a lot of money on a brand new bag that would get wet and dirty, and that I might not use a lot after the trip, so I was excited to find this one for under $40 at LL Bean. I ended up using this bag every day during our trip, and I'm absolutely in love with it! The bag is incredibly lightweight (only weighs 14 ounces) but holds a ton! There are two zippered pockets on the outside, along with a big open pouch, and one zippered pocket on the inside. The bag actually is able to fold up into the inner pocket which makes it a great choice for travel! The pack is really comfortable to wear thanks to cushions on the back and arms, and it snaps in the front as well. When I hiked with this, I didn't even notice I was wearing it! I also made great use out of the two bottle holders, which can be cinched to make sure the bottles don't fall out. Overall, I'm really glad that I ended up getting this bag and will be using it a ton in the future. I knew that I needed to get a pair of water shoes for a few of the trips we were going on, and I chose the Salomons after doing some research. I like the fact that these have mesh panels on the side to protect your feet rather than being completey open, and the hard sole on the bottom gives amazing traction. I walked in a river with these on, and didn't slip on any wet rocks at all! These are also completey adjustable in the heel as well as the foot. There's a bungie shoe lace which can be folded into a pocket in the tongue to stay out of the way. They also dried surprisingly quickly- I set them out at night completely soaking wet and woke up to a dry pair of shoes! The shoes were a bit of an investment (they cost more than any other shoe that I've ever owned, besides my running shoes!) but I think they're worth it! I used them in the water, hiking in the woods, and to slip on for errands. Since we were going to be in a hot and humid climate that was full of bugs, I wanted some long sleeves and pants that would be comfortable, protect me, and keep my cool. Luckily, I found a line that checked off all of those boxes, and I think they look pretty cute! The Sun Goddess tops are my new favorite shirts. They're really thin and lightweight so I never overheated in them (even during 90 degree day-long hikes! ), but also help to protect from sunrays and bugs. There are also panels in the back that keep air flowing, and the sleeves are easily adjustable. I got this shirt in a few colors, and wore them constantly during our trip! The Sahara pants are equally amazing. They're made of a lightweight, stretchy material, so they're as comfortable as yoga pants but look more dressed up. They have plenty of pockets, both zippered and not, so I could store my room key and some money! These also roll up in case I ever got too hot. Now that I have all of these amazing products, I'm excited to get more into hiking! One of my goals this summer is to be more active outdoors, and now I have the gear to make it happen! What are some of your hiking essentials? Do you usually shop before going on a trip? Happy Tuesday! Today I'm excited to share some photos and information about the first part of our trip to Belize! We spent the first three days on the beach, then followed that up with six days in the jungle. I hope you enjoy this look at our trip! We stayed at Xanandu Island Resort, which is located in San Pedro, Belize, a town on the southern part of the island of Ambergris Caye. To get there, we flew into the Belize International Airport, then took a short 30-minute flight over to the island. There are also water taxis that you can take for cheaper, but it takes longer. If you ask, the pilot will even let you sit in the co-captain seat on the plane! The island is really safe- Dan and I walked around at all hours of the day and never felt in danger. There is one main street that everyone drives on, and lots of side streets. I didn't notice any street signs, so if you're looking for a particular address, I would look for what buildings are around it! Xanadu is right on the beach, and offers free kayaks, paddle boards, bikes, and snorkeling gear. They also rent golf carts (the main mode of transportation on the island). There's also a big swimming pool that's open 24/7, a beach BBQ that's free to rent, TONS of hammocks (including a private one on each patio) and a beach bar. Our room also had a full kitchen (including a blender..what?!) which was a great bonus, since there's no restaurant at the resort. The food on the island was amazing! There are a lot of influence on Belize's cuisine, and wikipedia describes it as Mexican/Central American/Jamaican/Anglo-Caribbean cuisine. Since we're right on the water, fresh fish was served everywhere. My favorite dish was a fish coconut curry from El Fogon, served with shrimp ceviche. So good! We also made a stop at Robin's Kitchen, which is the top-rated place to eat on the island. This is a little road-side shop with a tiny kitchen and some picnic tables outside. The specialty is Jamaican Jerked chicken, served with rice and beans and cole slaw. The meat was so flavorful and not at all dry- and the spice really snuck up on me! Dan and I went snorkeling for the first time as well! A boat came to pick us up on the private dock, and we sailed out to Hol Chan and Shark Ray Alley. The water was so clear, and we got to see turtles, coral, sting rays, flounder, barracuda, and millions of other fish that I've never seen before. And yes- we also got to swim with sharks! At Shark Ray Alley, the nurse sharks and sting rays come right up to the boat to be fed, and we were just told to jump right in. The sharks completely ignored us and swam all around us. It was SO cool! We made a stop in Caye Caulker during our snorkeling trip. Our tour guides told us that this island is what San Pedro used to be like before it got touristy. The beaches were beautiful, and it was a lot more quiet than on the main island. Everyone drove on golf carts and bicycles here as well, and the roads were all sand and dirt. We were told the motto of the island- "No shirt, No shoes, No problem. No money- BIG problem!" I hope you enjoyed this look at our trip! Next up will be the first part of our stay in the Cayo district! Hi everyone! I hope that you all had a great weekend. This was a big one for me, because I moved into our new house! Moving is usually really stressful and hard, but luckily we had lots of helpers (Dan's dad and brother and my parents) so the entire process was painless. Here are some highlights from the weekend, along with some packing tips! All packed up in our apartment! We had some boxes from our last move, so we just packed everything up and emptied out all of the furniture. I always try to keep boxes full of items from one room and write down the room so it makes unpacking easy! Another tip is to tape up your drawers! First we emptied everything heavy out, then we taped them up so the drawers wouldn't swing open when we moved them. Make sure you save boxes for all big appliances! We saved the box for our TV, tower fan, crock pot, etc. It makes it so much easier to pack, and your appliances are protected! I also put all of my clothes in mesh bags and garment bags for easy moving. We also had Selma as a big helper! She was staying with Dan's family while we were in Belize, so I was SO excited to get her back. She was so excited to be at the new house! We had everything packed up, moved over and unpacked in just two hours. Everyone was working so quickly that it was no problem at all! So far, we don't have any living room furniture so that's our mess room with all of the boxes. The other rooms are coming along pretty well, and I can't wait to share some updates over at Gretch at Home! We went to Hofbrauhaus to finish of a tough weekend. My favorite restaurant! If you're ever visiting Pittsburgh and love German food and beer, make sure to stop by! Anyone else in the process of moving? Hi everyone! Happy Friday...so glad that we made it! I don't know about you, but the week after vacation ends is the longest week ever. I'm so ready for the weekend! I have a big weekend ahead, including lots of house work and finally moving in! If you want to keep up-to-date on what I'm doing make sure you follow me on snapchat (gretchxo). Otherwise, I'll see you on Monday! and I ended up with this haircut! I'm loving it so far but still trying to figure out how to get the bangs to look just right. If anyone has tips, please let me know! Is there anything better than coming back from a trip and having packages waiting for you!? I don't think so! I was so excited to see a package from Lululemon waiting for me at home- it was my Seawheeze shorts! Every year for the Seawheeze half marathon, Lulu sends out a pair of their shorts with a unique design for the race, instead of the traditional race shirt. This year's short (I got the speed short by the way) is a blue, green, white and black abstract pattern that I absolutely love. Their designs for the Seawheeze shorts are usually really out there and not my style, so I was happy these are more toned-down and match lots of my gear! 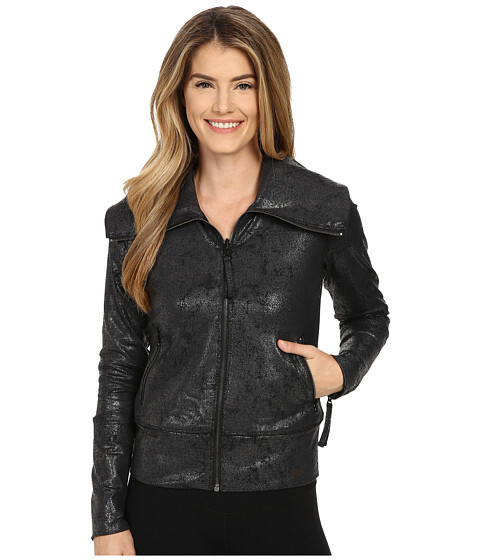 I love moto-style jackets, and this one looks so cozy! I love New Balance's style, and this jacket is right up my alley. I love everything about this outfit, but especially the skirt! I love the bright colors and the abstract print. So cute for summer! If you're as obsessed with the highlighting trend as I am, then you are also dying to get your hands on the new product from makeup extraordinaire Pat McGrath. This is a pricy product, but if it can make me glow like Lily Aldridge it's worth every penny! What are some of your favorites of the week? Do you have a vacation coming up? Just get back from one? What are you window shopping for lately?